Changes to the engine have resulted in a higher output and the new Apache RTR 160 now offers 16.78PS and 14.8Nm as compared to 15.12PS and 13.03Nm earlier. 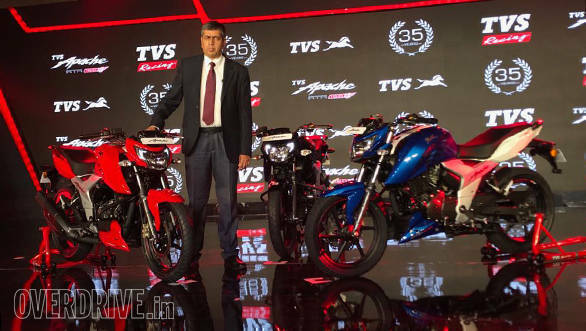 TVS claims that the new RTR 160 can do 0-60kmph in 4.73s. The bike is on sale at TVS Motor dealership across the country and deliveries are expected to commence shortly.